Poppin’ Birthday…March’s Paper Pumpkin Kit! This one is for this March…this month! a TOTAL of 8 Cards! AND envelopes included! 4 each of 2 designs! I added Balloons to my Cards! I got the idea from fellow ‘Pal’ Amy Koenders! I stamped the Confetti with the stamp from the Kit! and then I used the Balloon Bouquet Punch to punch out the balloons! Confetti on the banner was stamped in Melon Mambo. The Balloons are stamped in Melon Mambo, Bermuda Bay and Mango Melody! I added some Basic Jewel Rhinestones for Birthday Bling! Here is the inside of Card #1! The inside Pop-out came with the kit! I added, from the kit, were the candles, bows and party hat! The sentiment is stamped from the kit stamp set! The Confetti is stamped in Daffodil Delight! The greeting, from the kit, is stamped in Poppy Parade! Again the Balloons are stamped in Bermuda Bay, Melon Mambo and Mango Melody! Again, on this card, I added the Basic Jewels Rhinestones! Got to have Party Bling! candles, hats and bow from the kit! The sentiment is also from the kit! But I didn’t want to store the Cards incomplete, so I used Amy’s idea! Here is what the ‘numbers’ sheets, that I didn’t use, looked like! I guess I’ll save these for another project!!! There are 2 sets given with the project (2 of every no. 0-9 on each sheet)! I popped out the three’s to show! SOME GREAT INFORMATION FOR YOU! 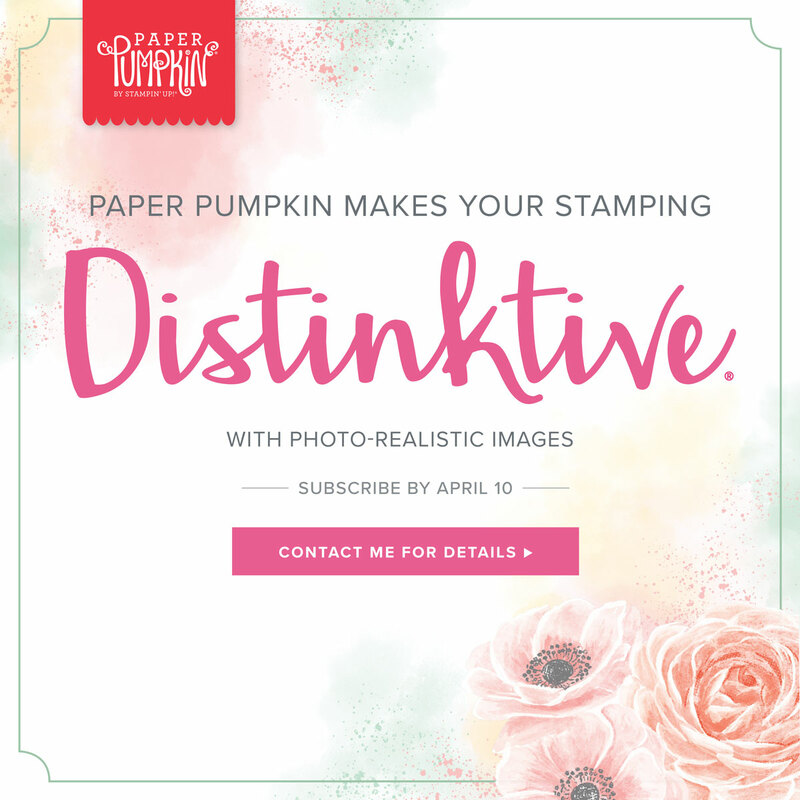 Paper Pumpkin Gets DisINKtive in April! At Paper Pumpkin, they love providing easy, fast, and fun creative experiences for their subscribers. They do this in a cost-saving and time-efficient way: by delivering a cute package filled with fun paper crafting goodies . . . right to your door. Go to my contact page! Next postPicture Perfect for FabFri159 and TGIFC204…!